Unison is an experienced property management and real estate company. 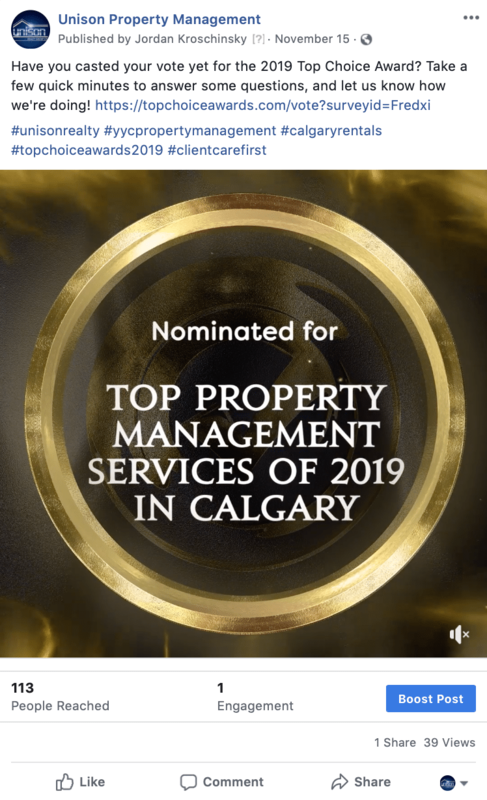 They have an extensive range of services and a number of listings available from furnished and unfurnished rentals to executive condos and single-family homes. Unison is known for their excellent customer service, quick response and high standards for quality and efficiency. Unison came to us requiring a wide range of services; their vision was expansive and all-encompassing. 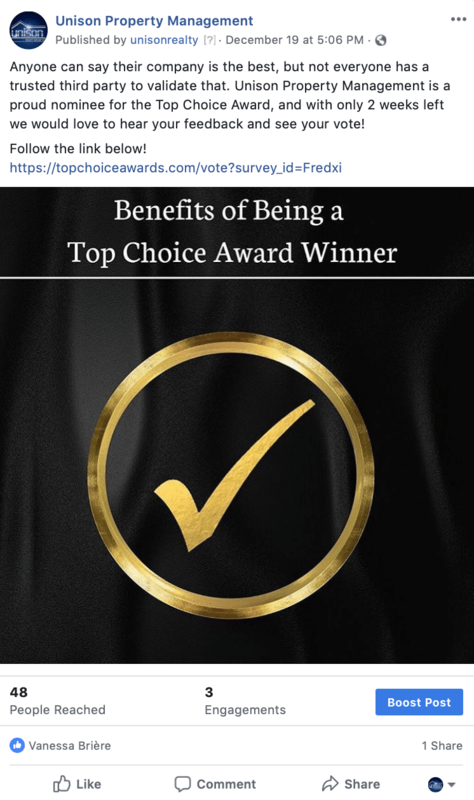 Not only did they require a website that was more user-friendly and high-performing, but they also wanted to narrow their target audience, improve the website backend, and more effectively showcase their services. Before working with GrowME, Unison had little online presence with zero rankings on Google. 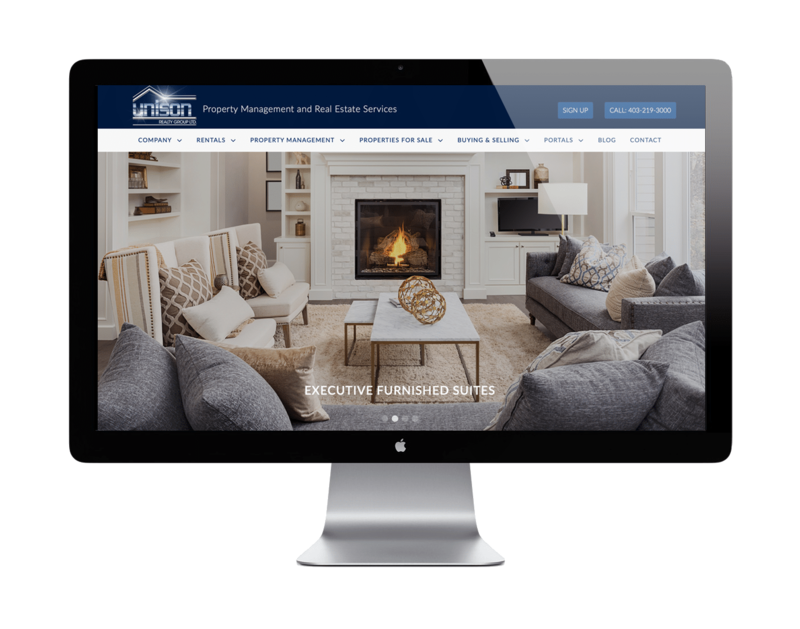 For a property management company, a website can be an integral asset. Unison wanted their website to be more convenient and streamlined for their customers, so we designed a better site map with easy-to-navigate pages and an optimally responsive design. Our skilled development team went above and beyond to customize a plugin to match the site design and branding. Through a modernized, high-end feel, the site is attracting more customers than ever before with website traffic now reaching over 2 thousand visitors each month and lead conversions on the rise. The site is more informative, intuitive and overall effective. We took every effort to maximize the user experience for the Unison website. Selected listings now feature a one-click application, and overall, the site is easy-to-navigate. Many property management clients want to be able to browse and apply for rentals on mobile devices, so we took extra care to ensure the Unison site is responsive across all platforms and devices. With a fully-optimized home page and multiple landing pages, in addition to our other techniques, we were able to get Unison to rank organically on the first page of Google. Utilizing SEO best practices, we have helped to grow the Unison brand through increased online applications, higher website traffic, and excellent lead conversion. We also launched a Google Adwords campaign that brings in an additional 2-3 leads each month. 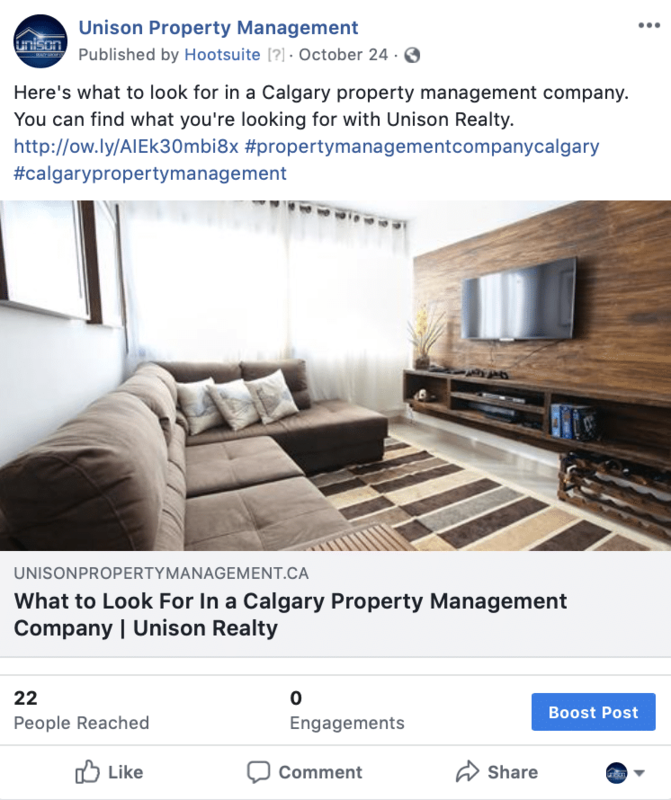 We maintain a positive and professional image for Unison on many social media platforms. By promoting benefits and services, featuring rentals, and promoting client engagement through unique and meaningful ways, we are able to increase website traffic. A social media presence is a highly-effective SEO and digital marketing tool for businesses. 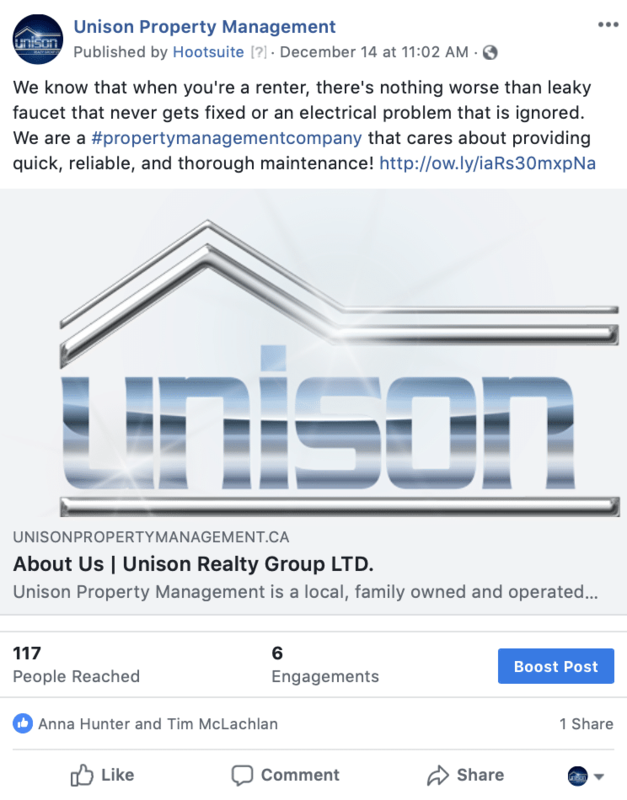 At Unison Realty Group Ltd., we are extremely pleased with the enhancements GrowME has done to our website. Their online marketing on our website and social media is highly reliable, professional and effective. Their work has increased our presence online which has resulted in more business for us.